The Garage Door Centre supply and install pedestrian access garage doors; an excellently innovative product that could help you save time and energy, whilst providing a safe and attractive point of entry to your home. 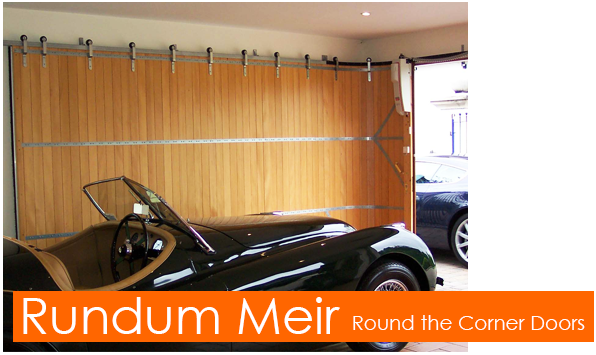 The option of a pedestrian door (or wicket door) being built into your garage door offers a very practical solution for anyone who visits their garage frequently on foot, or owns a house with an entrance from inside the garage itself, a feature which is common in many 'mews' style properties. The garage is often used, by the majority of people, for anything except a vehicle, meaning the door must now be a part of that contemporary solution whilst including the offering of good security levels, insulation and weather sealing. 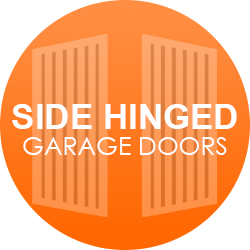 Several options are available for pedestrian doors in garage doors, which usually depend upon three factors – the size, material and type of door mechanism required. The first significant feature of the pedestrian access garage door, is having the option to enter the garage from the driveway without having to open the entirety of the garage door. As a result, you don't have to endure the trouble of opening the entire door every time, as well as locking and unlocking it afterwards. The lifestyle of modern domesticity has developed into utilising the garage door as a secondary entrance into a mews style property or, in many cases, if the garage has transitioned into an additional room to the home. Many garages have an alternate entrance to them. However, we have commonly disregarded them as a viable entrance, usually due to their location, off to the rear or side of the garage with various obstacles in the way. We tend to take the easy way in - not fumbling with lawnmowers, bikes or barbeques left blocking the way through. The pedestrian garage door provides its users with a significant safety advantage; with no other point of entry into the garage but the wicket door, an intruder has to put himself in full view on the drive way in order to attempt gainin entry into the home. Each wicket door opens to the exterior, so any kicks or heavy force only closes the door further. In order to break in, one would have to pry outwards with adequate tools in full view of any surrounding neighbours. Other, more traditional entry doors to the garage have often been a preferred point of entry for break-ins. The colours available are white, laminate woodgrain or, at an extra cost, most RAL colours. Sizes are available from 2250mm wide x 3000mm high to 4000mm x 2500mm with restrictions on certain designs at the larger widths and heights. 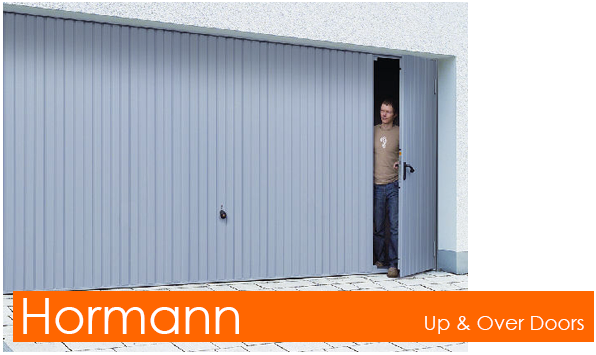 Larger widths and heights can be achieved with the SPU 40 range of commercial sectional doors from Hormann as well as Carteck. They can be automated with all necessary safety devices in addition to the basic motor, but are always manually operated. 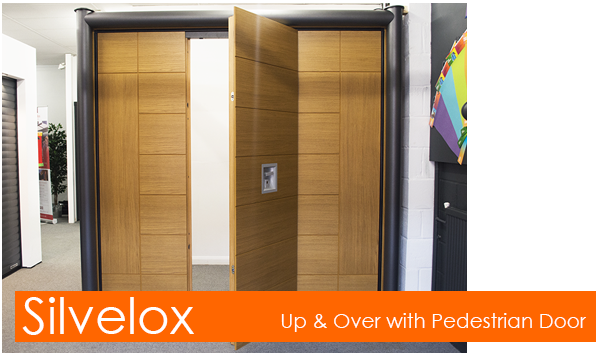 Silvelox's range of timber up and over garage doors feature an in-built pedestrian door, making for great ease of access via both on foot and vehicle. 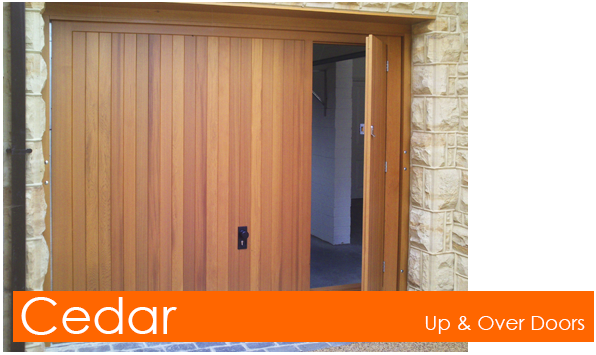 The 80mm timber door panel provides a significant barrier with insulating properties and in-turn, security also. Manufactured with traditional, high quality craftmanship, there are various beautiful designs and finishes available to complement different house facades, with the option of choosing which species of timber for your door. For the ultimate sleek appearance, there is no internal tracking required on the ceiling of your garage, as well as a clean panel on the inside of the door. 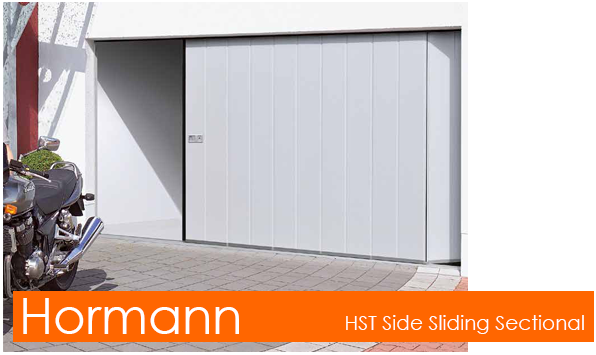 The same door panels are used as in the Hormann LPU 42 standard sectional garage door. Sizes are available up to 6500mm wide and 3000mm high. This garage door is available in manual or electric operation, and has the same facility as all round the corner type doors have to partially open enough to let a pedestrian walk into the garage, without opening the whole door. 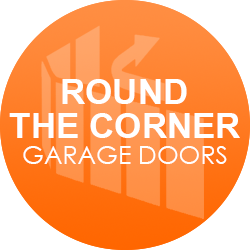 A round the corner garage door offers many benefits and is ideal where there is limited headroom inside. 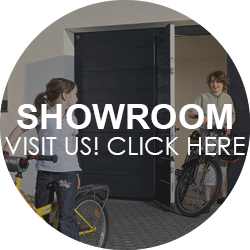 Original Rundum or side sectional doors have a pedestrian door facility by the very nature of their design, and if they are electrically operated they have a pedestrian door option setting. When the second button is pressed on the transmitter, the entire door can be set to only open a certain, pre-determined width, and then close again on a second press for quick and easy access on foot. Safety is built into the motor units as standard, so automation can be considerably less costly than sectional or up and over extras required for the pedestrian door option. 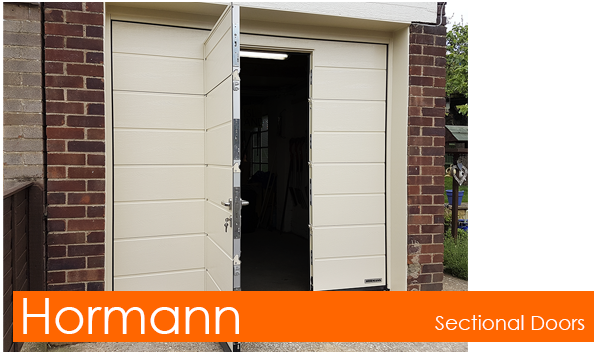 Sizes available can be of almost any size for the original Rundum and 7000mm wide x 3000mm high for the side sectional timber door. European retractable garage doors are available in white or choice of RAL colours for steel, and a base coat prefinish for timber doors. Sizes are available from 2250mm wide x 1929mm high up to 5000mm x 2375m. They can all be automated with all safety devices required additional to the basic motor to prevent accidental operation when the pedestrian door is not closed properly. Most will be manual operation. Sizes available from 2000mm wide x 3000mm high up to 5800mm x 3000mm in single parting and can be doubled in width for a bi-parting door arrangement. More versatility in operation. Automation is standard on these doors and all safety and manual override facilities are included as standard. Pedestrian opening facility is available on the second button of the hand held transmitter to open the door a pre-determined width. The Vertico is a good solid investment for your home and available in many colours, including laminate foil woodgrain finishes, perfectly simulating various timber species from light to dark in shading. Only available in retractable operating gear and in a base coat or factory finish stain option. Wicket doors are available in the Bakewell design (see left) and the majority of their designs. 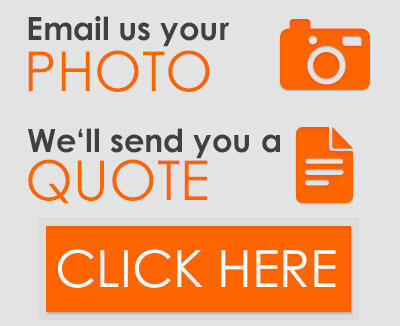 Sizes are available from 1980mm wide x 2286mm high to 5487mm x 2286mm. Timber is the most versatile of materials, so making special designs by request is normally no problem at all and can provide the most personal and exact specification where detail is of high importance. Can be automated with all necessary safety devices required as additional to the motor. The pedestrian door can be on either the left or right hand side of the main door, and it is possible to change the size of the pedestrian door width within the constraints of the overall door design. Looking for easy pedestrian access, but a wicket door isn't for you? 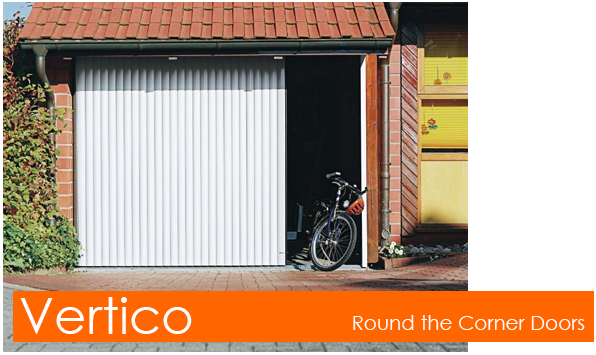 Various options such as round the corner or side hinged garage doors are also available from our extensive range!